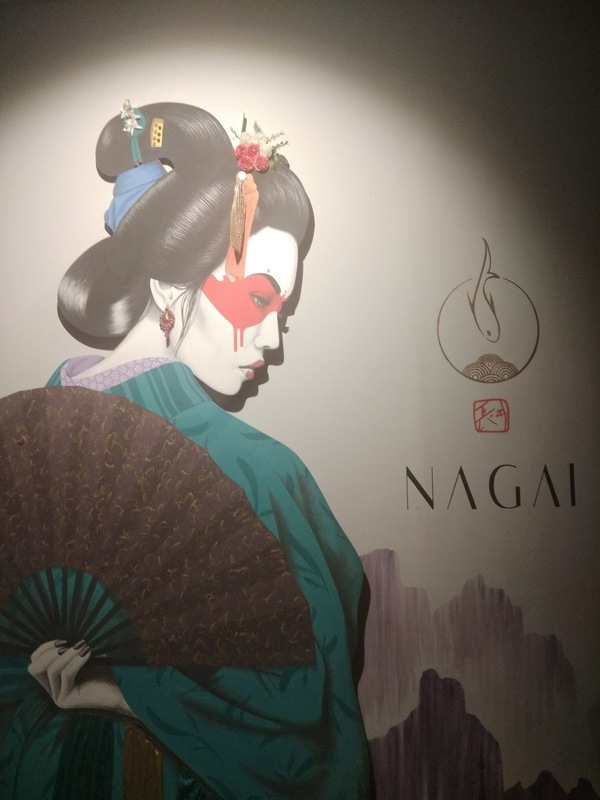 Located next doors to the Gymkhana Club on the main road, Nagai opened its doors around 8 months ago, celebrating Japanese and International food. It is an effort by Chef Reina and Eleonara, two adventurers, from different backgrounds and walks of life, who have come together to set up this iconic food brand. The Gurgaon branch is the second branch of Nagai after Ibiza in Spain. I tried the specially curated Chef tasting menu. We started off with a special cocktail, based on Gin, recommended by the mixologist at Nagai. It was a perfect mix with a kaffir lime leaf. Next, I tried the Tom Kha soup which is Nagai's version of Thai Coconut Soup. It was not overly thick little clear and tasted yum. Started my meal with the Kushiyaki Chicken Skewers which tasted like our routine chicken steak with a delightful flavor of Teriyaki Sauce. The King Prawn Dragon Roll is something I would really recommend to all those who love prawns. I went with the recommendation from the manager and ordered the Pork Belly with Daikon in Cinnamon and Ginger Sauce. Served with Japanese steamed rice, the dish tasted very well, especially with its thin gravy. Dark chocolate Semifreddo with bits of cinnamon just wows your taste buds. I also liked the Matcha Green Tiramisu with Vanilla Gelato. The desserts conclude the meal perfectly. The place has a great party vibe to it, especially the basement bar. I am told that the restaurant is planning to refresh the look and feel of the bar, which should make it much more better. If the weather permits, the outdoor seating looks perfect with the awesome food shared here. If you are new the Menu, seek a recommendation from the great staff as all their recommendations were great to taste.